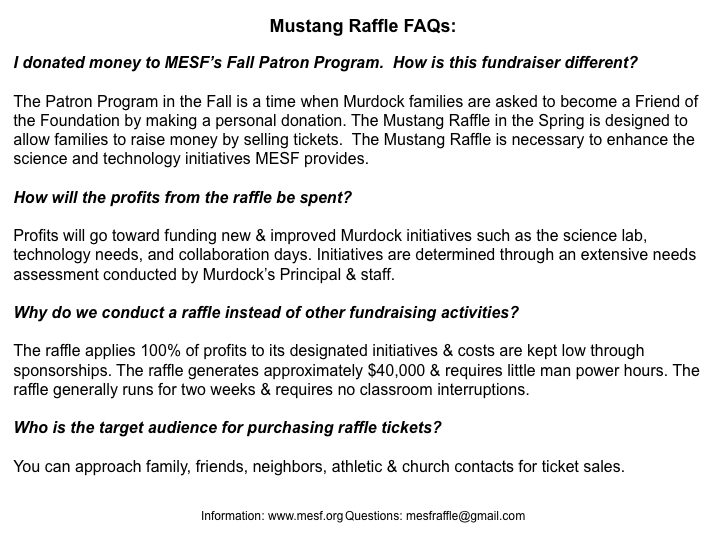 Mustang Raffle – MESF: Murdock Elementary School Foundation Inc.
Each spring for 2 weeks, MESF sponsors the Mustang Raffle. 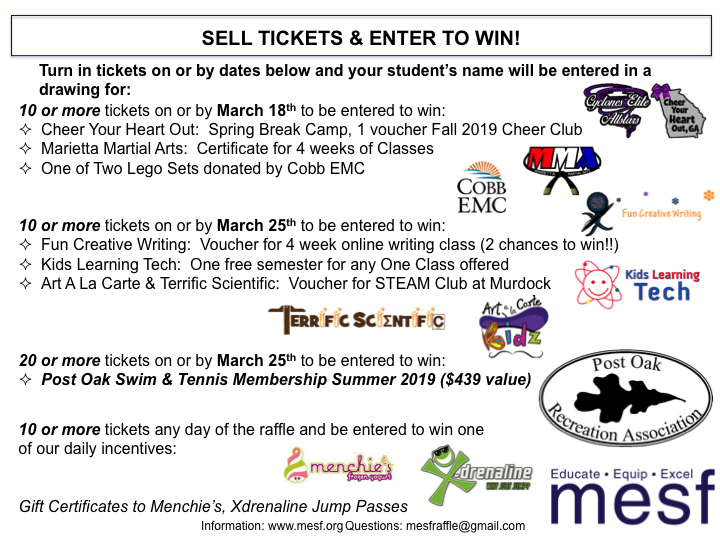 This hugely successful fundraiser is designed to allow Murdock families to go out into the community to raise dollars by selling tickets to friends, family, co-workers, neighbors, etc. 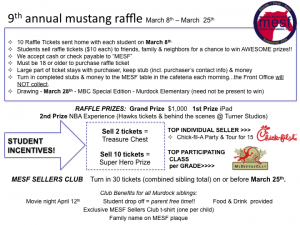 Murdock students are eligible for lots of fun prizes, such as: Sellers Club Movie Night, t-shirts, a Mustang Cool Prize, treasure box goodies and SO much more! The ticket purchaser will have a chance to win one of three exciting prizes. 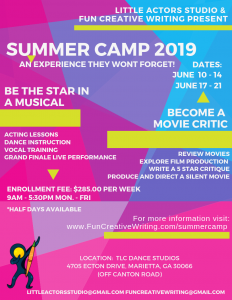 Past prizes have included: NBA Experience with the Atlanta Hawks & Turner Studios, Atlanta Braves family package, iPad, $1,000 cash. 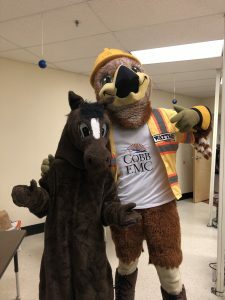 Administrative expenses are kept low through the help of our sponsors and donations and there is little to no classroom interruption. If you are interested in sponsorship/partnership opportunities, please contact us. 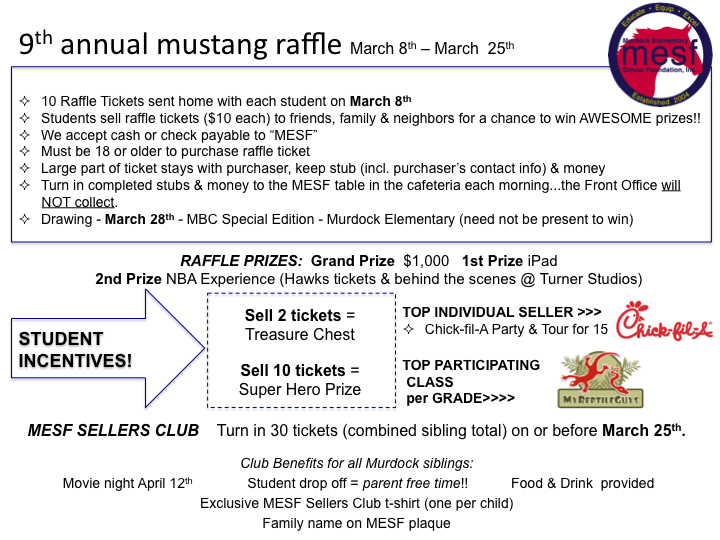 THANK YOU to the Murdock community for making this year’s raffle a HUGE success! 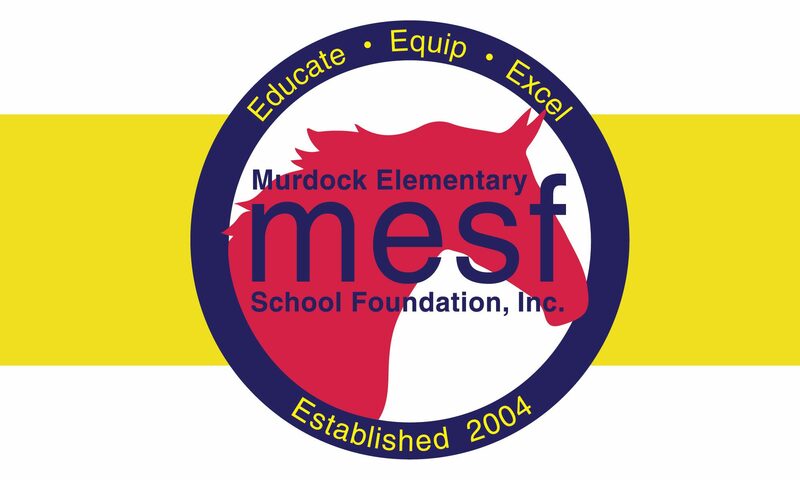 59% of Murdock’s student body participated this year & exceeded our goal of $45,000 by raising nearly $50,000…..Way to go Mustangs! 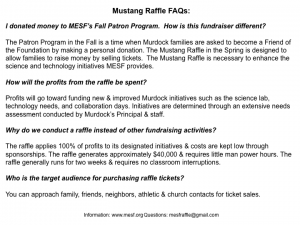 54% of staff members participated & Murdock’s own Principal Hamblett sold 141 tickets! Grand Prize, $1,000 cash, Molly Israel sold by Kyle I. 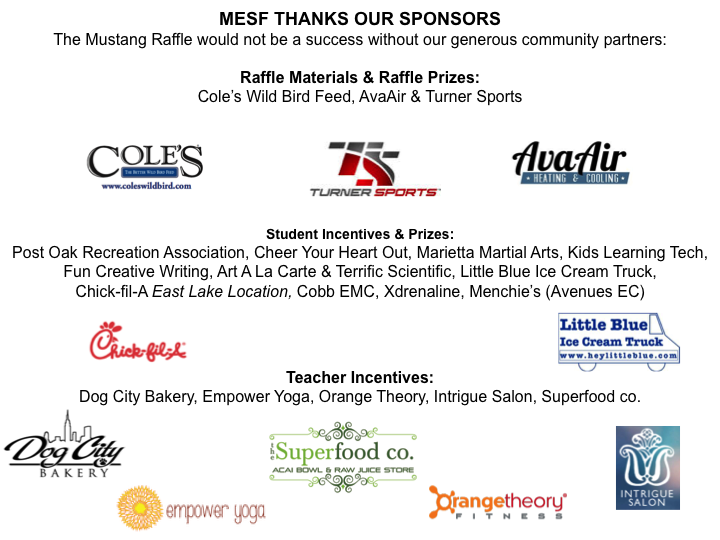 1st Place, 7th Generation iPad, Matt Hurst sold by Brendan H.
2nd Place, NBA Experience with the Atlanta Hawks & Turner Studios, Patrick Hamblett, sold by Lynn H.
Top Selling Family: Selling 266 tickets, THE CUDDAPAH FAMILY once again won a Party &Tour for 15 courtesy of Chick-fil-A East Lake as well as passes to White Water! 4th=Raj C. & Kingston H.